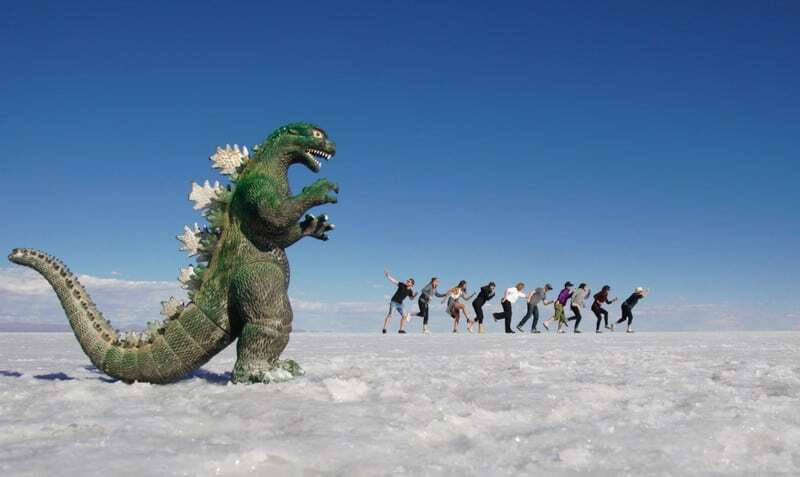 Like many people, the famous salt flats near Uyuni in Bolivia were top of my bucket list. I finally got to realise the dream and it didn’t disappoint. Here’s what I learnt from my trip. Your backpacking days might be over, but taking a group tour to the salt flats is still the cheapest and easiest way to reach them. That said, the basic level of comfort during the overnight stops isn’t what everyone will be looking for. If that’s the case, stick to a day trip from Uyuni instead. Some drivers and vehicles get a poor write up in terms of safety, so choose wisely, it will minimise your risk of being caught up in an accident or stranded by a breakdown. I went with Red Planet expeditions (£62 booked online via Kanoo Tours), but whichever operator you choose, read as many reviews as you can before booking, as experiences vary considerably. They don’t come cheap, but a night in a salt hotel is one of the most memorable accommodation experiences you’ll have in Latin America. 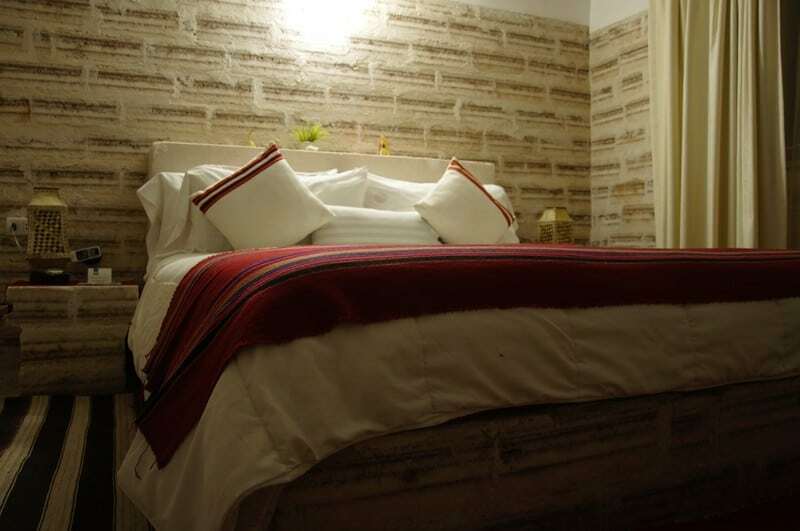 Several hotels have sprung up near the village of Colchani on the edge of the salt flats; my choice was the excellent Luna Salada (£223 for 1 night). 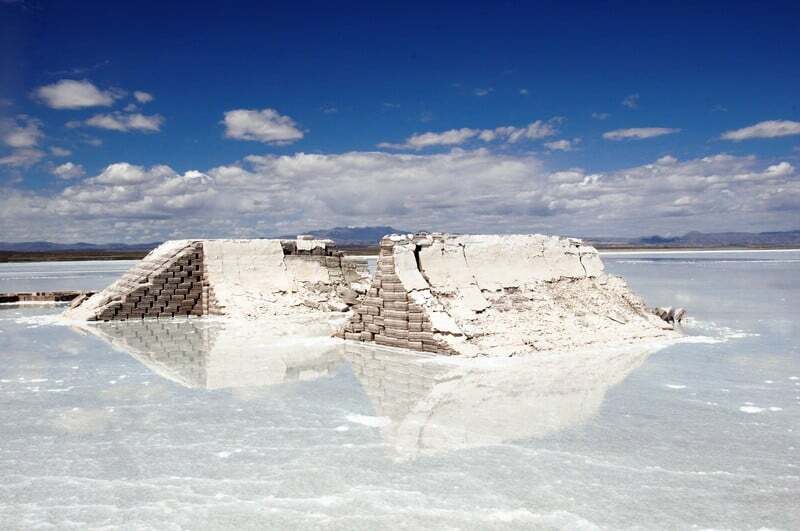 Beds sit on platforms of salt and walls are constructed from salt blocks too. Finer salt, the consistency of sand, minimises the discomfort of walking on the hotel room floor in your bare feet. Opt for a room facing the salt flats for the best view at sunset. 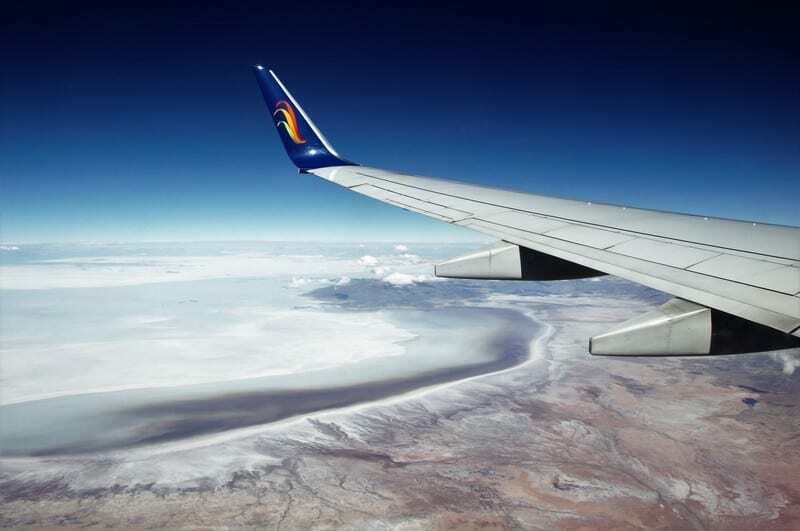 In winter and early spring, rain falls over the salt flats causing extensive flooding. While this might sound like a reason not to go, in fact it’s the complete opposite. Jeeps are still able to access the salt flats, but areas with standing water offer some of the most spectacular reflections on the planet. Note, though, that by opting for flood season, there’s a good chance that you won’t be able to see the oversized cacti on Incahuasi Island as the water will have cut them off. When you reach the flooded parts of the salt flats, your guide will give you plenty of time to walk around on the salt lake. Your shoes will get soaked and though wellington boots would be suitable, they’re too bulky to be practical for a suitcase. Instead, pack a pair of flip flops to save your feet from being cut to ribbons on the sharp salt crystals beneath the shallow water. If you forget, double up your thickest socks instead. …or an empty can of Pringles. Vast expanses of salt stretch to the horizon in all directions, making this the perfect place to shoot some crazy perspective photos. You can trick the eye – and your camera – into thinking that nearby objects are larger than they actually are. I can honestly say I’ve run away from a dinosaur, surfed on top of a wine bottle and clambered out of a Pringles can. If you’ve forgotten your props, don’t worry – most tour guides carry spares. Northern Argentina has some of the most incredible landscapes in South America – including its own salt flats, the Salinas Grandes. They’re considerably smaller than those you’ll encounter near Uyuni, but they’re still relatively undiscovered by tourists. As a result, there’s a very good chance you’ll have the place to yourself and avoid the mass tourism that afflicts Bolivia’s most famous natural wonder. I was well looked after by the kind owners at Gaia Habitaciones Boutique (£115 for 2 nights) who set me up with Caravana de Llamas. 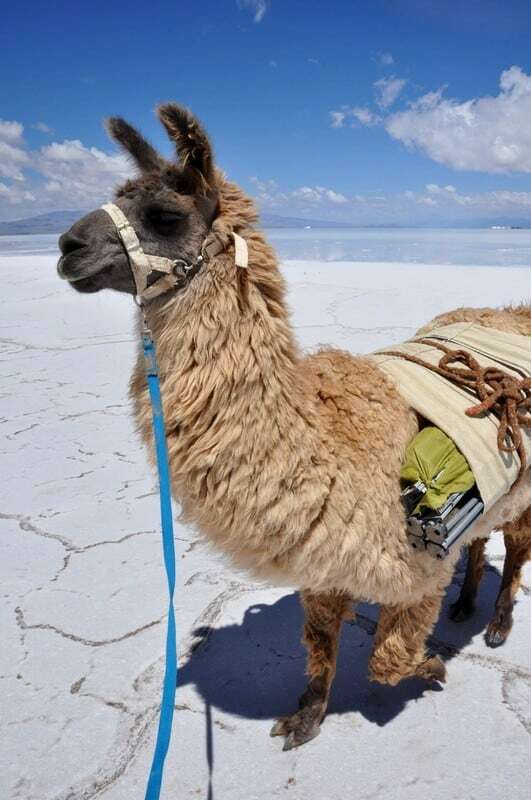 They took me trekking onto the salt flats in the company of llamas Oso and Paco and their handler Santiago, producing a delicious picnic when we needed to let the animals rest. The tour was £65 for the private tour plus £57 for return private transportation from Tilcara. NB: I flew from the UK to Montevideo and out from Lima, the flight cost £579 (booked July for a March trip).